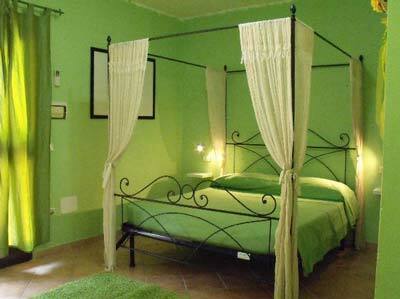 A residence Marina di Grosseto worthy of special note. When a Maremma residence is consistently rated as very good by those who have stayed there and their reviews tell of wanting to return, then you know that you have found holiday apartments worth checking out. Villa Isabella is just that: emersed in beautiful Maremma countryside only a short bike ride from the beach, it is for those who love lots of space in which to relax and play, tranquility and colour in their lives. The two star Residence Marina di Grosseto Villa Isabella might not be the easiest of places to find - indeed this is one of the only criticisms of the place - but it comes up trumps in the satisfaction ratings scoring a high 8 out of 10: read over a hundred reviews. Villa Isabella is a restored Tuscany farmhouse with seven apartments in a beautiful setting only two kilometres from the coast and Marina di Grosseto pineta and beach. The apartments are spacious and brightly coloured with expansive bedrooms. Each has an independent entrance from the large communal villa gardens, air-conditioning and a fully equiped small kitchen (kitchenette). 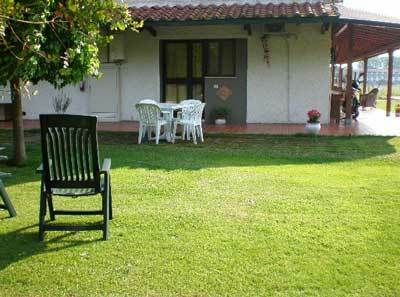 There is ample free parking, shared barbecue facilities and a childrens playground area. Worthy of note for those with young families is that children under four years of age stay for free: a great way to keep the cost of your holiday in Maremma down. 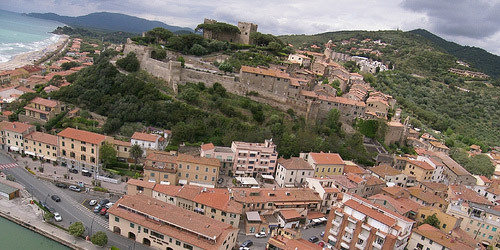 The owners are happy to loan you bikes to explore the Maremma countryside and the Marina, or to cycle along the bicycle pathway through the pineta to the pretty sailing port of Castiglione della Pescaia with its historic medieval centre and fantastic views of Maremma and the Tuscan archipelago. The prices are inclusive of your consumption of water, gas and electricity, use of the communal washing machine, twice a week cleaning and change of linen. Notes: you will need a car and there is no on-site restaurant, although the friendly owners have been known to transport guests to a local restaurant and collect them after their meal! Interested? This link will take you to lots of photos of the accommodation and the lowest prices even last minute for today! Just a few kilometres north of the Marina di Grosseto will find you in Castiglione della Pescaia territory: a pretty and popular sailing port with a lovely walled medieval historic centre on the towns hill top from which there are fantastic panaramic views of the whole of this stunning stretch of Maremma coastline. 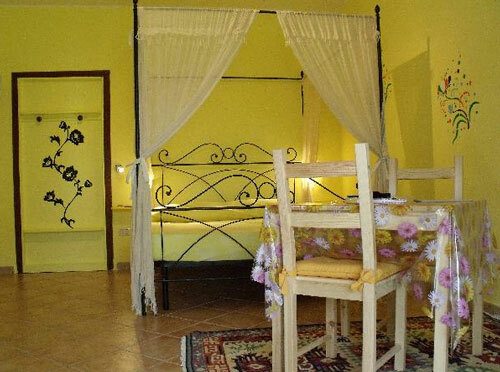 Or south along the Marina di Grosseto beach and the Pineta del Tombolo you will find a thirty-five self-catering apartment establishment in Principina a Mare: residence Principina a Mare.